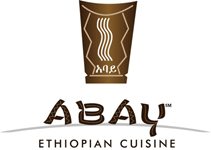 It brings me great sadness to share with our friends that the owners of Abay have made the tough decision to close its doors as of the end of this month. Restaurant owner Jamie Wallace released a statement on the restaurant’s Facebook page. Given how much development there has been in the neighborhood and the fact that beautiful apartments are being completed literally across the street from us, it might seem like the worst time to step down. But, honestly, we’re tired. Abay Restaurant was the host restaurant of the very first Pittsburgh TasteBuds wine exchange in December 2009, back before we even called ourselves the TasteBuds. The wonderful experience we shared with our close friends during that holiday dinner inspired us to create the Pittsburgh TasteBuds as an event experience to introduce wine novices like ourselves to wine and to take advantage of the wealth of BYOB restaurants that Pittsburgh has so many of. Abay opened their restaurant to us and welcomed us into their family. We took great pleasure in our experience that Abay is one of only two restaurants that we’ve hosted more than one wine exchange at. Our 13th wine exchange was also held at Abay in February 2012. Part of the reason people have such strong opinions about restaurants is because they are personal to them. The dining experience is an emotional one. Guests have had first dates with us as well as celebrated new jobs, anniversaries, graduations, and birthdays. We’re humbled to have been a part of all of those life achievements. We’re equally humbled to still have a 4 star rating on Yelp and a 90% rating on Urbanspoon. The restaurant has and will continue to flourish as a cultural beacon in the east end of Pittsburgh until the very end. Please take a moment to post a kind note on their Facebook or Twitter.